This week there will be two shorter posts for Beginners Unite! 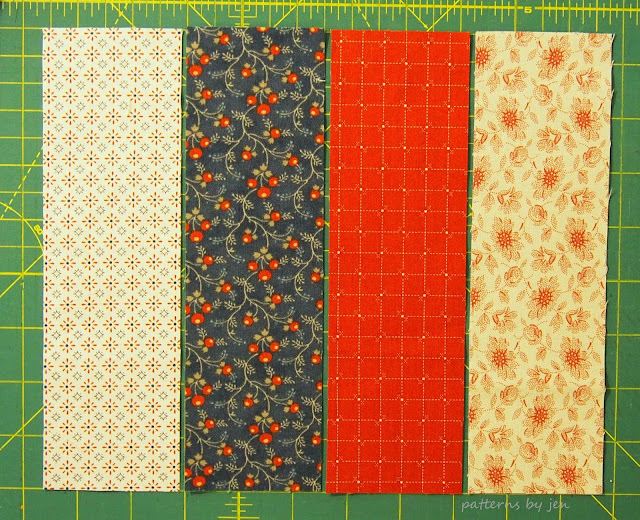 This first one will have tips for strip piecing and the bonus post will be on Thursday with tips for keeping your points. I touched on the topic of strip piecing HERE in the Strips and Squares post. 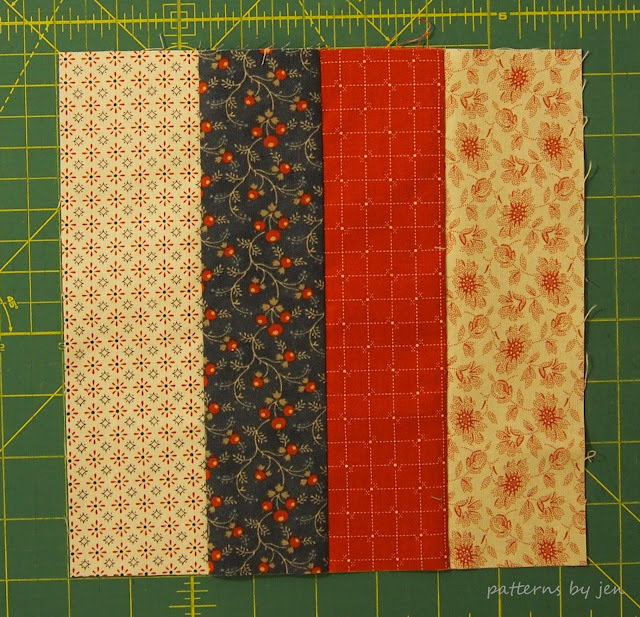 This time we're going to talk about how to stitch multiple strips without getting those frustrating waves. Start with four strips cut at 2 1/2" x 8 1/2". It's important that any strip you cut is cut accurately. For cutting tips go to THIS POST. 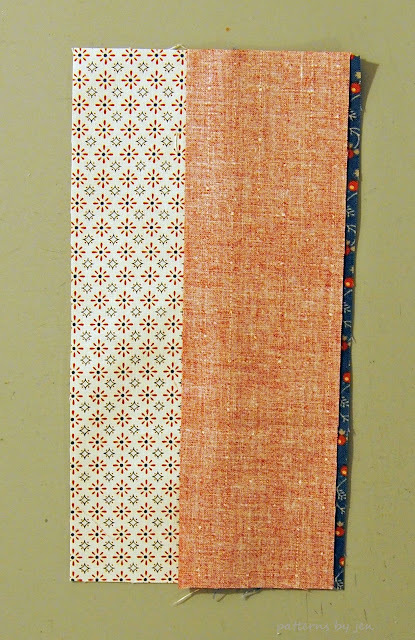 Lay your first two strips right sides together. Stitch on the long side. Note that the blue strip is on top. Press towards either side, making sure to lift your iron and move it. Do not press and move at the same time, this will distort your strips. 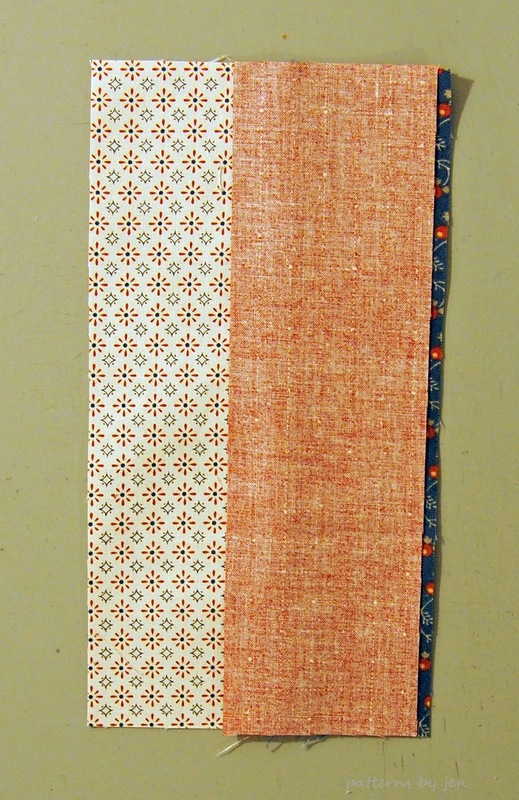 Lay another strip right sides together with your newly sewn unit. 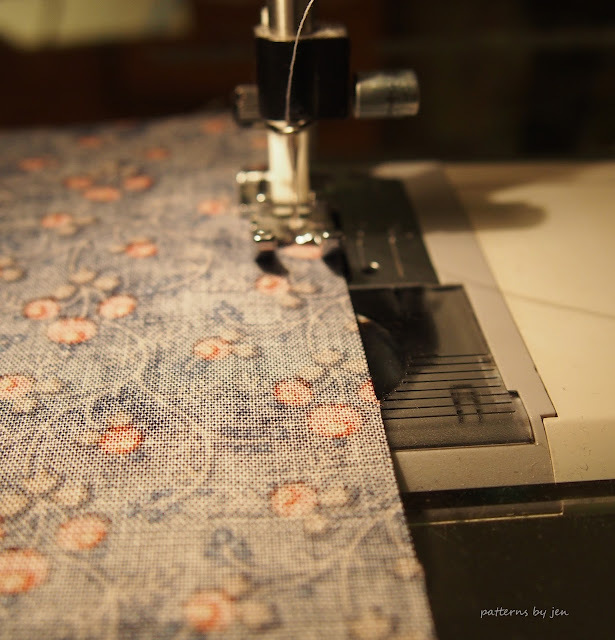 When you stitch this time, make sure you are stitching the opposite direction. In this case, the blue will be on top again. Press. Using your last strip, lay it right sides together. 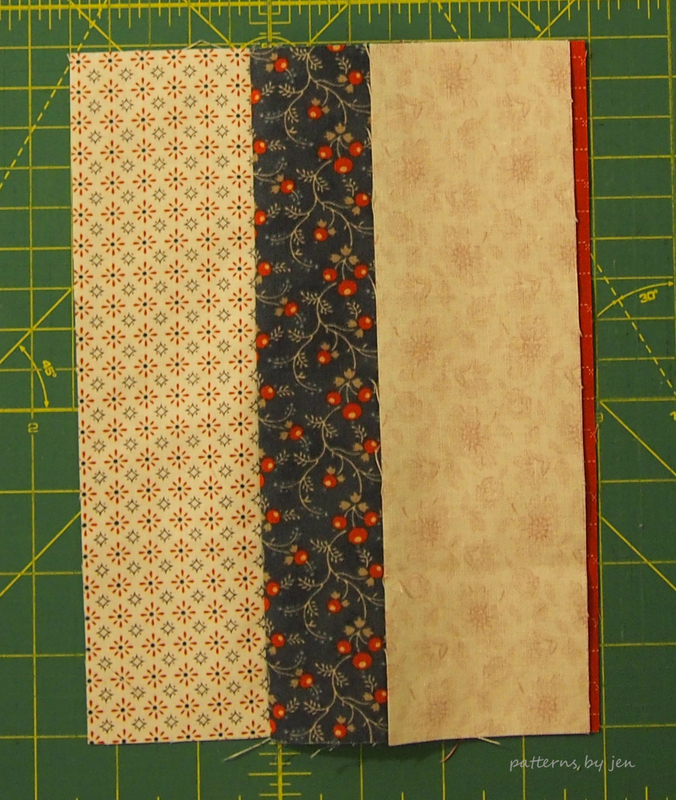 Again, stitch the opposite direction of the seam you just stitched. In this instance the white will now be on top. Carefully press. You should now have a pieced strip that doesn't wave at you when finished. Follow me on Instagram and Facebook for daily shots into the life of PBJ.